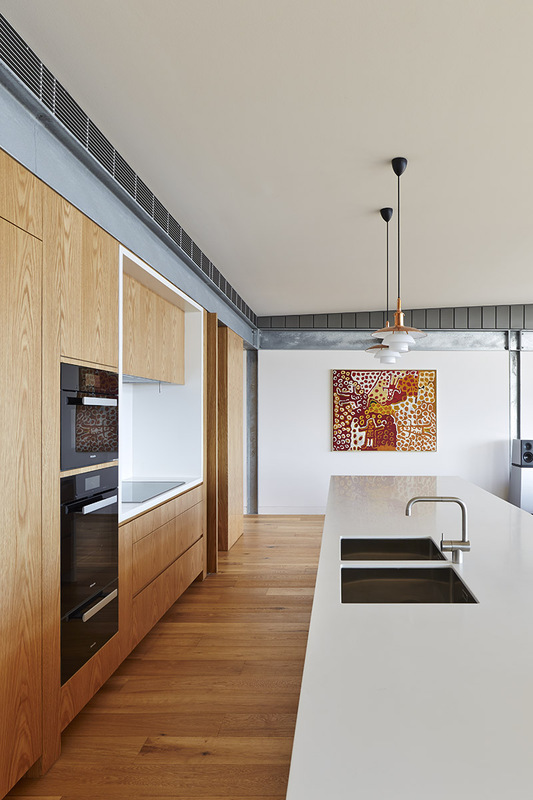 SB House involved extensive alterations to a 1960's cream brick beach house. 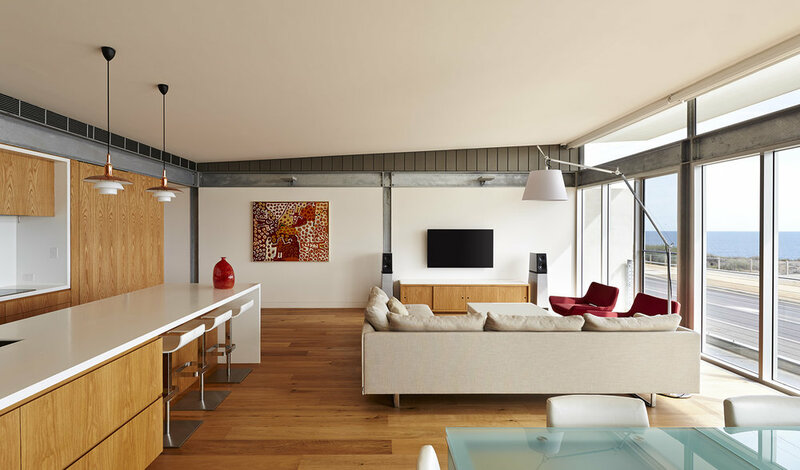 While the holiday home is truly transformed, a sense of modesty remains by keeping the overall footprint close to the original dwelling. Several existing brick walls were retained; a hint of its history peeking through the addition of precast concrete, exposed structural steel and zinc cladding. 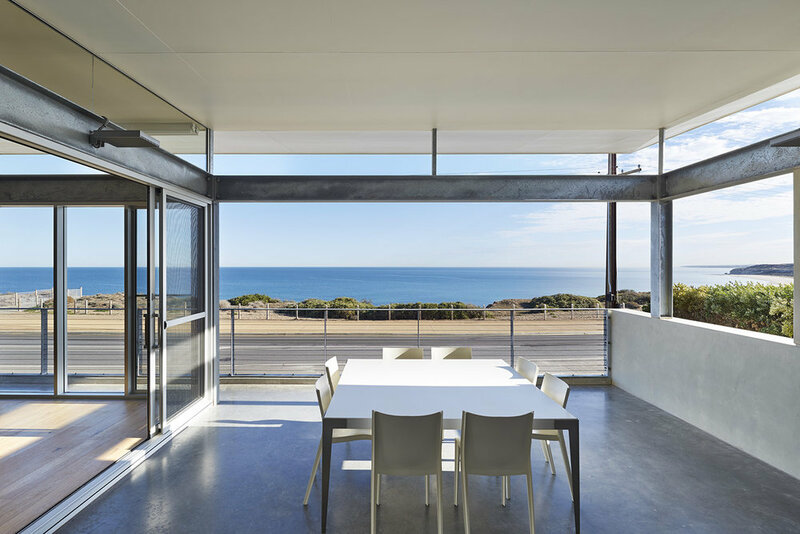 The highly detailed and incredibly thin roofline provides a significant overhang to full height glazing, ensuring both brilliant coastal views and year-round indoor comfort. 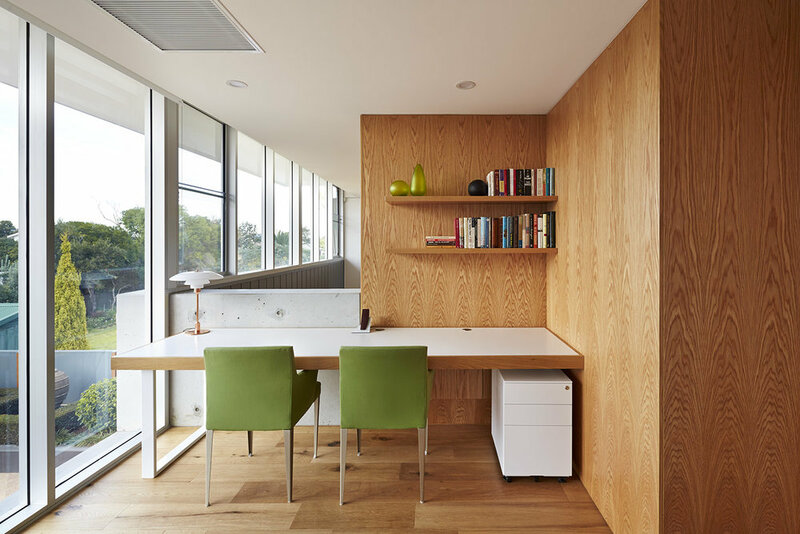 The upper level open plan consists of a central ‘pod’ housing the butler’s pantry, from which the kitchen, study and stairwell are linked. American Oak timber is generously applied to the joinery, walls and flooring, creating a warmth and sophistication far exceeding that of the humble beach shack.